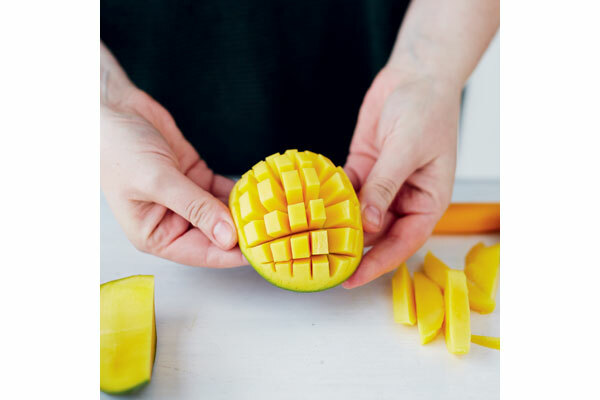 These tropical beauties can be fiddly to get the flesh from if you don’t know how, so follow our easy method for perfect results. 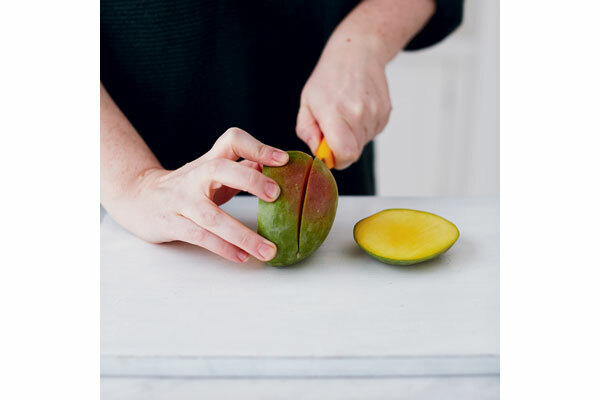 Stand the mango upright and, using a sharp knife, slice off the two flatter ‘cheeks’, avoiding the oval stone in the centre. 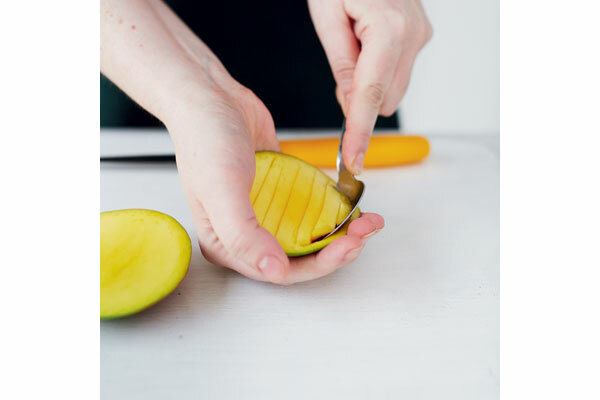 Slice the remaining two narrow sides from the mango and discard the stone. 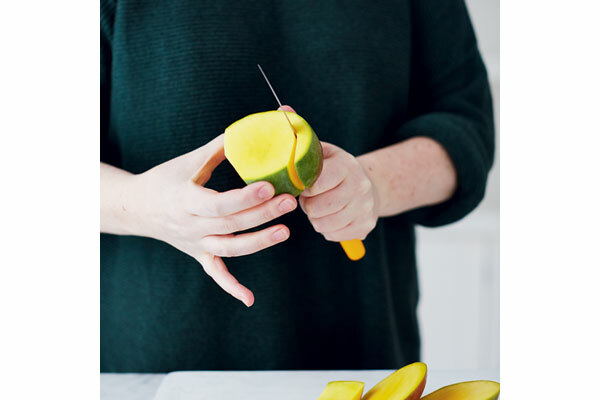 Holding a ‘cheek’ in the palm of your hand, make a series of parallel cuts into the flesh, cutting until you can just feel the pressure of the knife on your hand – don’t break the skin (if you’re not too confident, hold the mango, flesh-side up, on a chopping board). Using a spoon, scoop the flesh away from the skin in perfect slices. 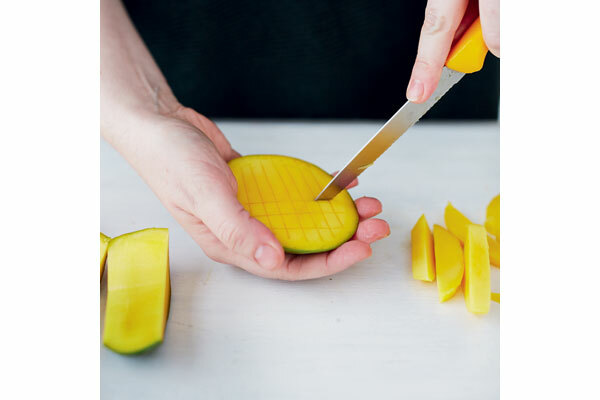 For mango cubes, make another series of cuts at 90 degrees. 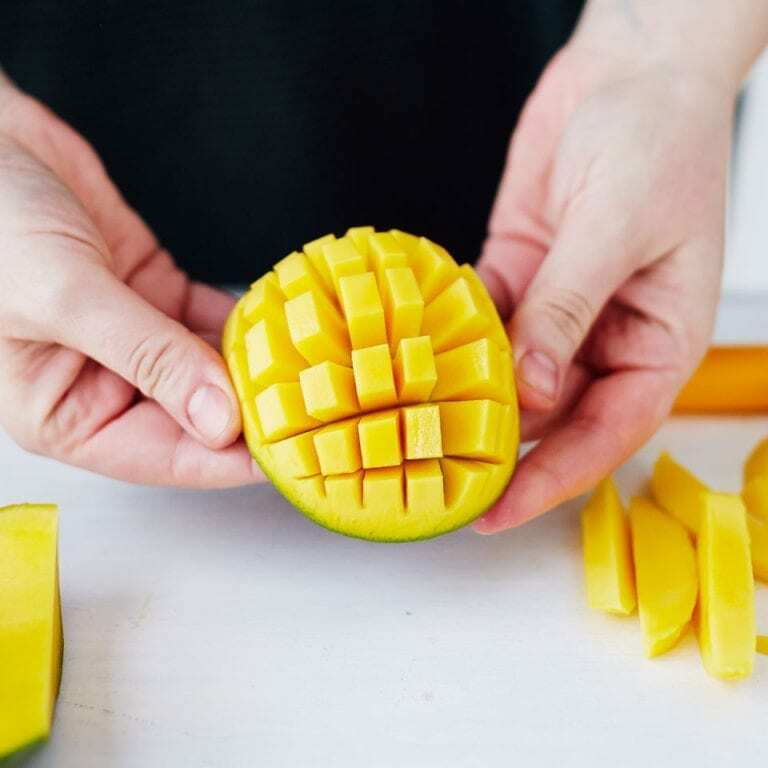 Then push the mango inside out and slice the cubes off with the knife. For more step-by-step expert techniques, click here.